A little while ago we went on a trip with two VW busses to Italy, to chase waves. As there is mostly only some swell in Winter, we did not know if there will be any waves. But we were super lucky to find out that the spot in Recco was working with decent waves. Before and after that, we were enjoying the Italian lifestyle, having lots of Capucchinos and Pizza. With our VW busses we stayed in a beautiful camping called Framura, right at the seaside. It was a bit cold in the night, but definitely a nice experience. As we were still in the pre season - you know this is something I love, we had almost the entire camping area for ourselves. Something to keep in mind when traveling with a VW Bus is to be organized and not bring tons of stuff, as you need the space in the car to be able to sleep in there. As I am definitely not camper girl, or at least I never went camping the last few years, I had to think of packing. So I went to some outdoor shops and asked brands I work with for some inputs. I ended up buying some outdoor gear like special lights for camping, and of course a sleeping bag and I already had my beloved NorthFace Bag which I always bring on surftrips. And I even bought - as a joke - a survival book to read what you could do if you were out in the wild. Not that we were, but you never know what happens. A new gadgets were brought to me by Gilette. 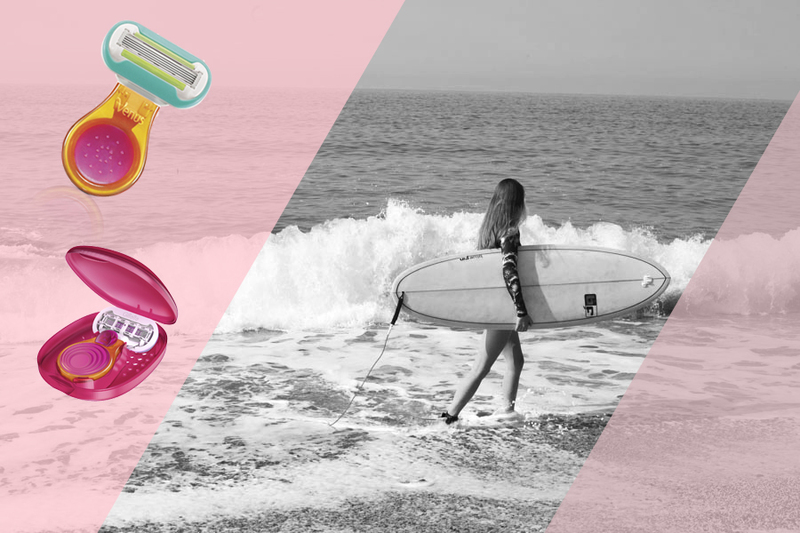 They have this tiny little pocket razor, the Gilette Venus Embrace Snap, which you can bring everywhere. And as I was wearing a short wetsuit during this trip, this was a great addition to my travel essentials. One morning I went paddling in the sea, as we weren’t expecting any waves. And as the location was just breathtaking we shoot some pictures. If you plan an upcoming trip, I’ve got a surprise for you - make sure to check my instagram @bonsoircherieblog to not miss it. Another product I will introduce in a next entry - stay tuned! I am wearing a Billabong Wetsuit I found at About You.